The first half of the book is a historical introduction to the study of law. 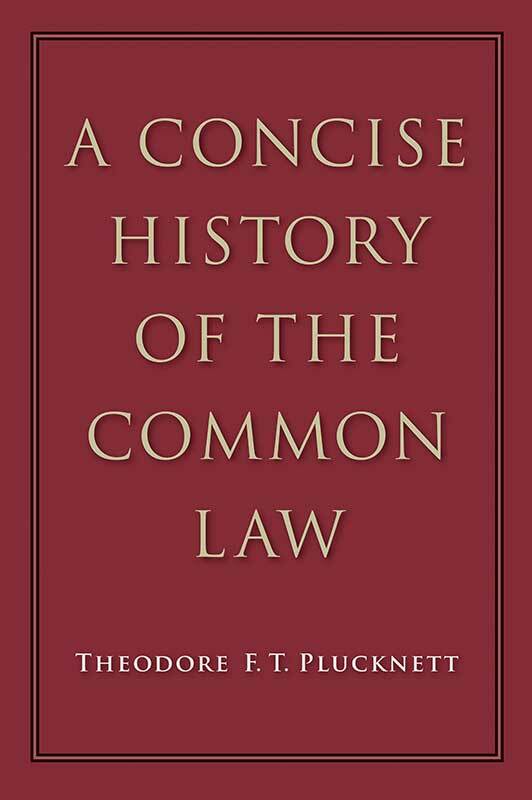 Plucknett discusses the conditions in political, economic, social, and religious thought that have contributed to the genesis of law. This section is a brief but astoundingly full introduction to the study of law. The second half of the book consists of chapters introducing the reader to the history of some of the main divisions of law, such as criminal, tort, property, contract, and succession. These topics are treated with careful exposition so that the book will be of interest to those just embarking on their quest in legal history while still providing enough substantial information, references, and footnotes to make it meaningful for the well-versed legal history reader. Theodore F. T. Plucknett (1897–1965) was an English legal historian. At twenty-six, he was appointed by Roscoe Pound as professor of legal history at Harvard Law School. Preface, table of medieval cases, table of modern cases, table of laws and statutes, index.